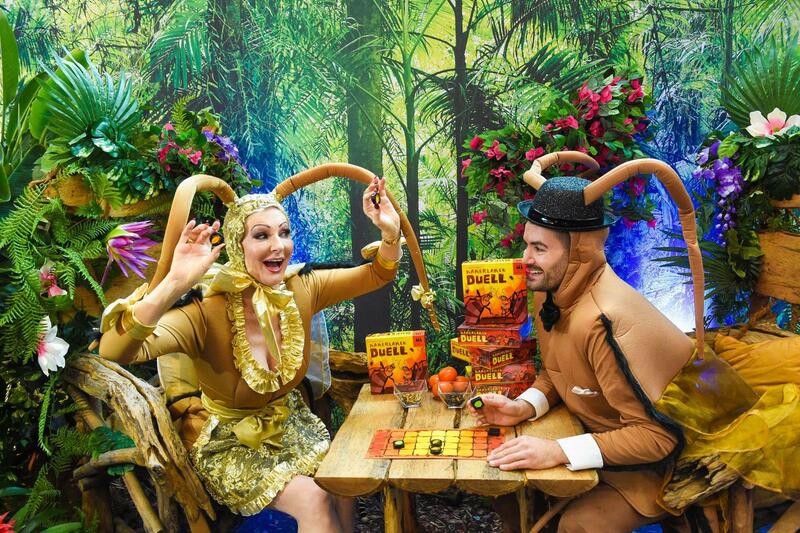 Drawing attention to the brand Schmidt Spiele using a crazy idea: On the occasion of the new game “Kakerlakenduell” (cockroach duel) with a live competition of the jungle kings Desiree Nick and Menderes in cockroach costume at the Spielwarenmesse® Nuremberg. An event which attracts both celebrities and the media. More than 50 articles in print and online, as well as 5 TV entries with a reach of around 35 million and an ad equivalency value of about 0.5 million euros.